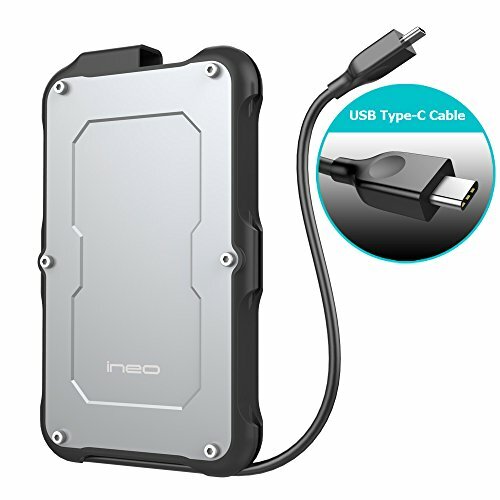 Ineo introduces an upgraded rugged enclosure with decent waterproof and shockproof function, C2580c is now released for people who look for much more secure and better protection for their important in 2.5 inch hard drives and SSDs. The upgraded compact silicon frame provides sturdy protection and able to hold the integrated cable tighter, and IP66-rated and MIL-STD 810-certified are still there for getting rid of concerns in your mind. If you have any questions about this product by ineo, contact us by completing and submitting the form below. If you are looking for a specif part number, please include it with your message.